Even the bravest and most social three-year-olds can be nervous and hesitant about heading into a new environment with kids they don’t know, new adults giving them instructions, and a new space with new processes. At the beginning of this school year, if you have a son or daughter who is ready to enroll in preschool, it’s important to prepare them for the change ahead of time. Lil’ Rascals Academy and day care in Pembroke Pines, Davie, Cooper City, or Weston want to ensure that there is a smooth transition so that everyone is comfortable and excited about learning. Here are some tips to help ease your child into attending a preschool. While it’s important to not start preparing too early for preschool or day care as this can create an expectancy and build up anxiety, it can help to establish a schedule at home that will mimic a real school schedule. Many children will learn more effectively when there is an existing routine and a daily schedule in place. Waking up at the same time, snack time, play time, and a learning time can give your child structure that will carry on to their time in day care. Speaking of schedules, routines that are specific to morning and night time are an effective way of getting your child used to a routine. Create a chart with morning tasks including making the bed, getting dressed, eating, brushing teeth and hair, and gathering items that would be necessary for school, as well as night time tasks such as bathing, changing to pajamas, reading a book, and going through a tucking in process. These activities can help children realize what it expected of them. Many activities at our day care include using scissors, drawing, and coloring. 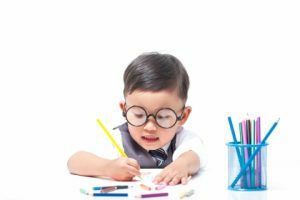 Set up your child for success by using child-friendly scissors to cut paper, use crayons to color, glue to create projects, and play with Play-Doh to create letters. These fun activities will not only help them focus, but will improve hand strength and dexterity so they can play along with other students. Whether you’re planning on attending our Pembroke Pines day care, or another of our locations, plan a time where you can visit the facility and meet the teachers. This will give your child an opportunity to become familiar with the surroundings, making it a much easier transition. If possible, set up a time to view the facility while a class is in session so your child can see what it’s like. Show them where certain activities take place, such as reading time, a play room, and the outside. The biggest fear for many parents is dropping off their child at day care and it results in a fit of crying. This is natural, so don’t be afraid if this happens for a few days or even weeks. Be prepared to be as positive as possible to give your child an emotional support. Keep goodbyes short and try not to linger. Sticking around will make leaving even more difficult. Starting preschool at a day care facility is an exciting time for young students, but they still need some preparation beforehand. Keep things simple and straightforward and everyone will be more than ready to begin this new adventure. 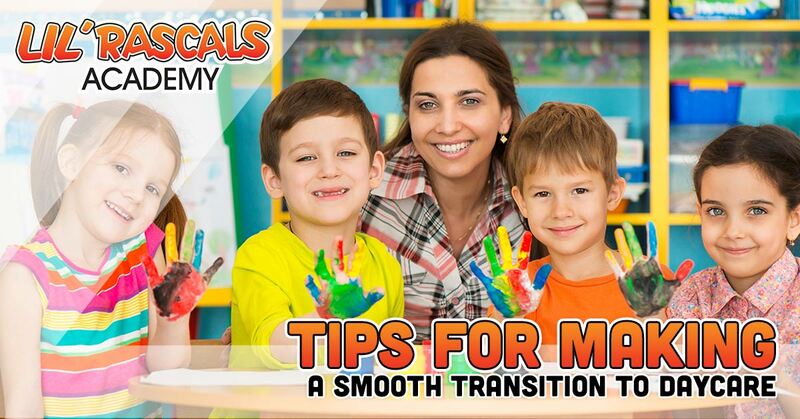 For any questions or concerns, contact our day care staff today to learn more about making a smooth transition.